Diwali is the name of festival of India which is celebrated all over world by Hindu community. Diwali is festival which is celebrated for mythological stories which emphasizes of good prevailing over evil. Diwali is time for spring cleaning of home and office, and to give it fresh and new look. People not only just clean their house and offices but also décor them bright and put up traditional as well as trendy decorations. Diwali is also time for shopping new clothes, electronics, gold and silver etc. 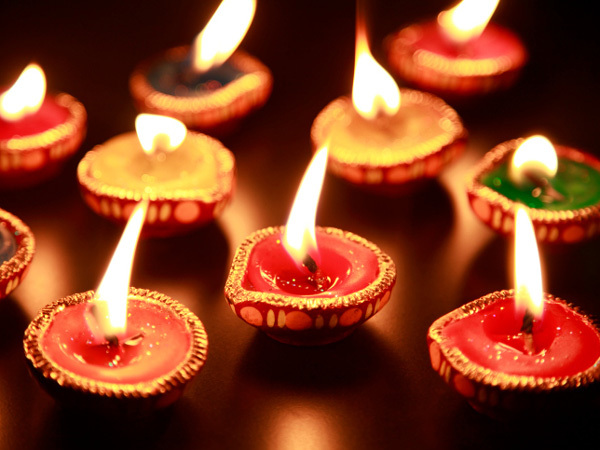 Diwali is time when people get their homes painted or do some changes in their home décor. Traditional decorations have been carried out from ages and have been enhanced with new ideas and techniques suiting the modern tastes and requirements. Bandanwar is door hangings or also called as toran. 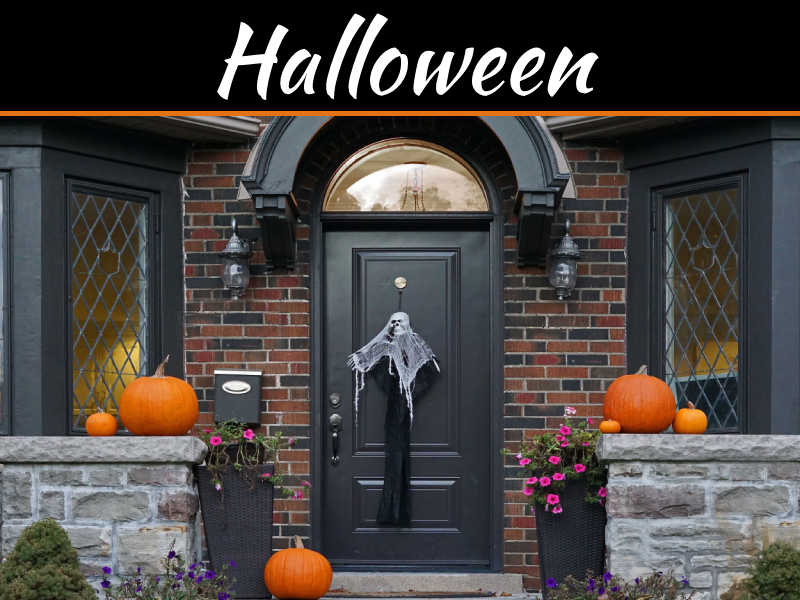 This is placed on the entry door, and other doors of the home. These give festive charm to home. Door hangings have embellished bells, shells, bells, mirrors, decorative metals etc. Rangoli is decorative patterns with colors which are drawn on the floor of the porch, courtyard, entrance of home and office. 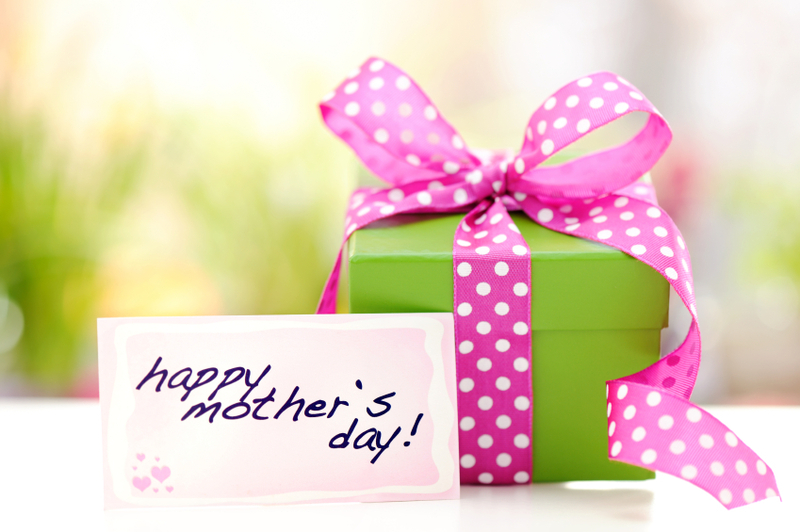 This is to welcome the Goddess Lakshmi who is Goddess of Wealth as per Hindu mythology. Making Rangoli needs lot of hard work and creativity. 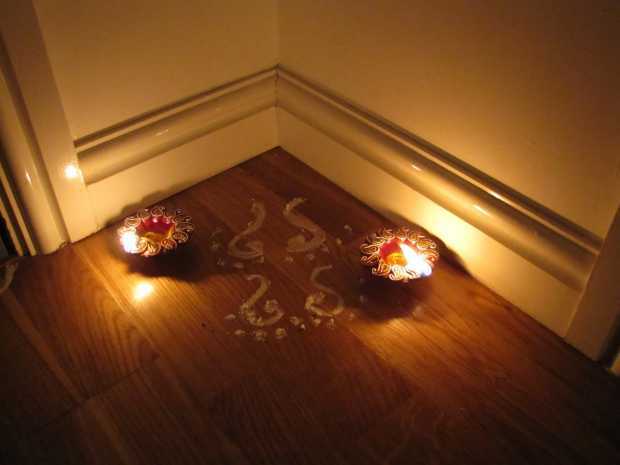 Rangoli is further enhanced with traditional diyas. 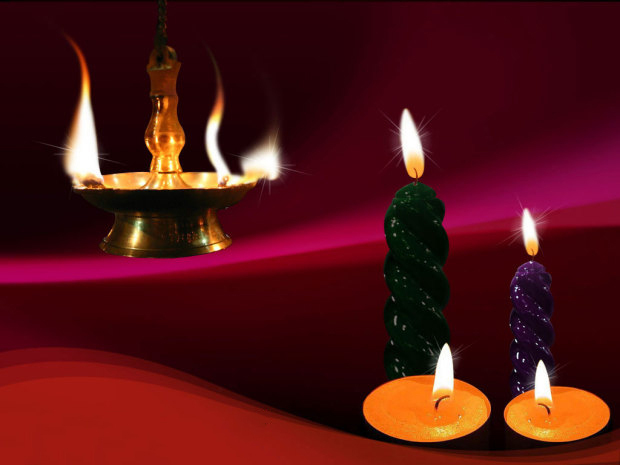 Earlier just traditional earthen diyas was used and now candles and wax diyas have made their ways into home. But end result is beautifully lit homes. 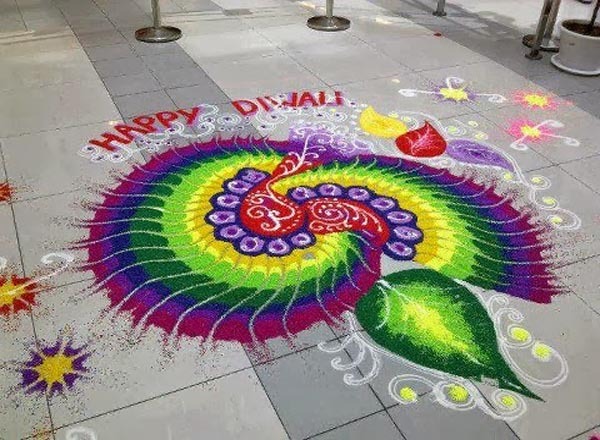 Diwali is actually a festival of light and for this people décor their homes with decorative lamps in their verandah and decorative lightings across various places in their home. 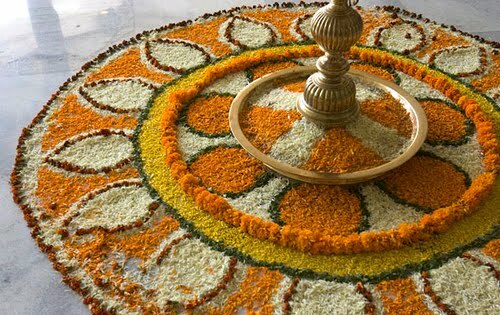 Real flowers are used to décor the temple, rooms, and entrance of the home and office. Flower garlands are adorned at doors, temples etc. Draw Lakshmi feet coming inside the home and office is considered auspicious. On the sides of doors putting signatories of “Shubh” and “labh” is considered auspicious. 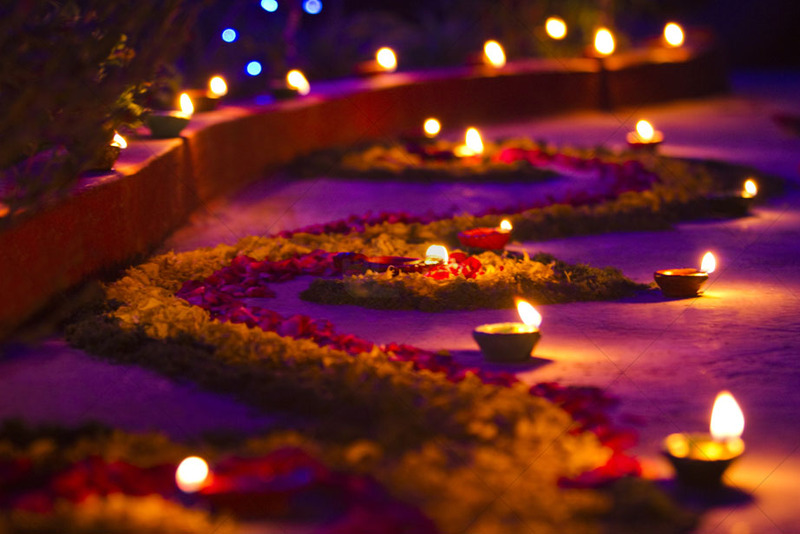 Diwali is about showing the best of décor of your home. 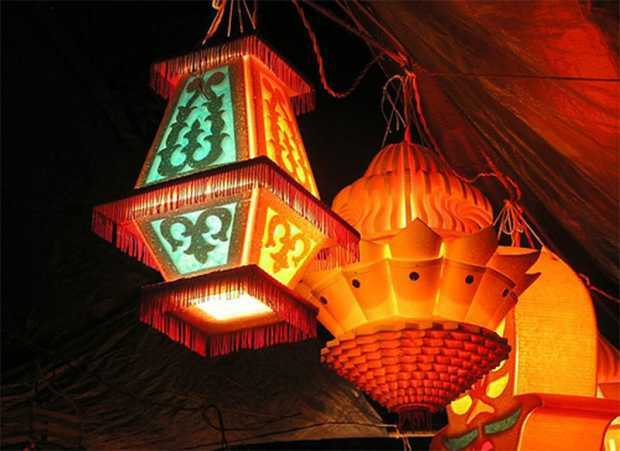 Modern lamps and lightings are used for decoration. Modern decorations such as wall decal, wallpapers, and electric diyas are used for decoration. 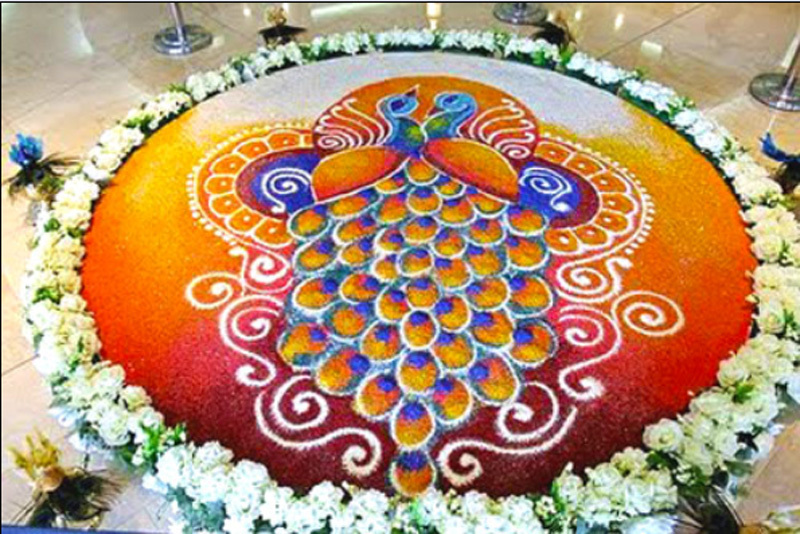 Modern Rangoli that is ready to stick on the floor rangoli is also available.